This entry was posted in Fun and tagged Minnesota Wild, NHL. Bookmark the permalink. So, how’s that second round going for you? If it makes you feel better, I haven’t been able to watch either of these games. 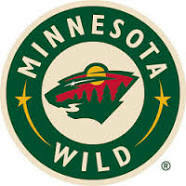 I can’t wait to watch the last two games in Minnesota before we have to travel to Anaheim. So, how’s that second round going for you? According to scrip. Lose on the road, win at home.